The Opposition back stabbed the Government by calling for a surprise vote for Expenditure Heads of two ministries last week contrary to an agreement at the Party Leaders’ Meeting, Leader of the House and Minister Lakshman Kiriella said. The minister was replying UPFA MP Bandula Gunawardena in Parliament yesterday. “If there are gentlemen in Parliament, the party leaders’ agreement must have been respected. If you give a word, that must be kept,” he said adding that it was a conspiracy similar to October 26 last year. 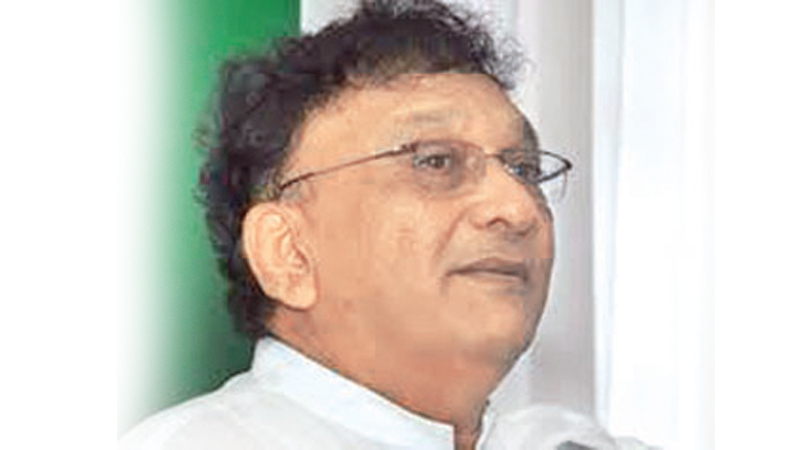 MP Gunawardena, countering Prime Minister Ranil Wickremesinghe’s and Internal and Home Affairs and Provincial Councils and Local Government Minister Vajira Abeywardena’s statements over the weekend, said the defeat of Expenditure Heads would not be a problem to pay the public servants’ salaries as Parliament had already approved a Vote on Account for the first quarter of the year. “Moreover, the Treasury has an account reserved for urgent requirements of money. Don’t blame the Opposition for any consequences of the defeat of vote,” he said. JVP MP Dr Nalinda Jayatissa brought to the attention of the House that the Government’s statements on consequences of defeat of the vote are contradictory. “The Prime Minister said the Government only loses Rs.320 as a result of the defeat but the subject minister said the payment of salaries for 550,000 public servants is problematic due to the defeat. What statement is correct?” he asked. UNP MP Hesha Vithanage challenged the Opposition to defeat the final vote of the budget and take over the Government if possible without playing political games inconveniencing the public. UNP MP Chaminda Wijesiri said the Opposition should take the responsibility of any consequence of defeating the Expenditure Heads. UPFA MP Anura Priyadarshana Yapa, observing that they were playing the role of Opposition in Parliament, said they would not hesitate to defeat Expenditure Heads of any Ministry again if they get the opportunity.